Native iOS and Android email clients don't support much in the way of encryption outside of a SSL connection which only protects the data from the mobile to the server, not before or after. While it is true that iOS email app has basic S/MIME PKI support it is just too complicated to use, especially for ad-hoc secure messaging which is so typical in today's on-demand socially connected world. 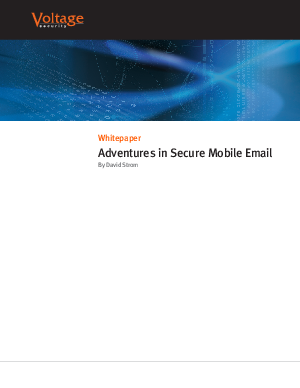 And most of the third-party mobile email clients don't do much to add any security to the attachments or messages accessed by a tablet or a smartphone. Learn how to easily overcome these challenge in this paper by David Strom, industry expert on networking and communications technologies.